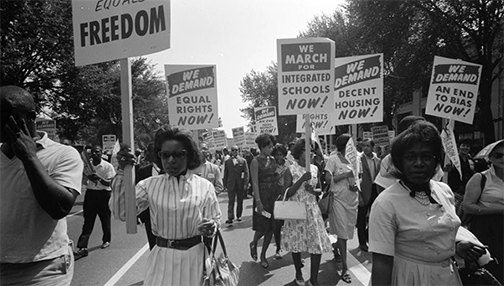 Library of Congress: Civil rights march on Washington, D.C. The month of February is Black History Month or African American History Month. It is an annual celebration of achievements of black Americans and a time for recognizing the central role of African Americans in U.S. history. The Rio Salado Library is proud to honor Black History Month by highlighting targeted library and web resources that can help you learn more about the lives, contributions and legacy of African Americans. Check out our Black History Month Topic Guide now. Above is a vintage photo of Katherine Johnson-- a mathematician, physicist and scientist who worked for NASA and calculated trajectories for John Glenn during his orbital flight in 1962. 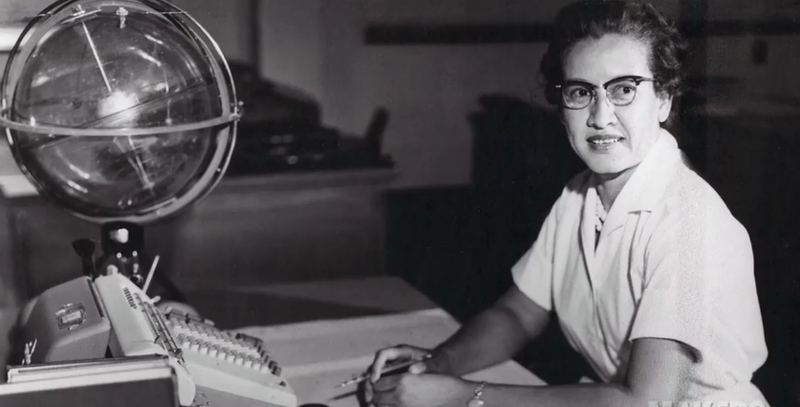 She is among the heroines featured in the new film Hidden Figures. Learn more about her story at nasa.gov. To learn more about the rich legacy of African Americans-- and national events scheduled to celebrate their accomplishments, visit this Library of Congress web site.